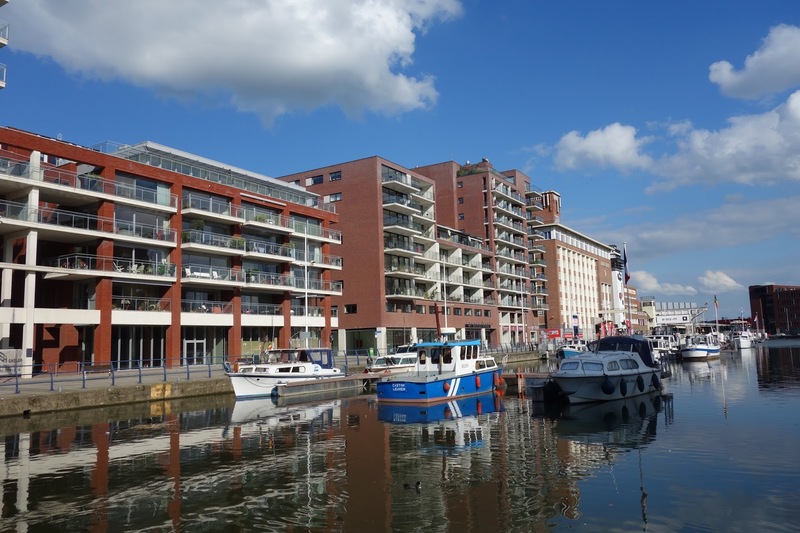 On Sunday evening, I narrowed down my accommodation choices to two: a room in Residence Rosa Parks (part of Het Amerikaans College, 100 Naamsestraat) and Waterview Residence (Engels Plein). As I preferred to have a room in Waterview, my aim was to head there first thing on Monday morning to explain my situation to the Residence manager and hopefully secure myself a room that day. If this was not possible, I would contact the manager of Rosa Parks. After a long stressful week of 'kot' hunting, time was of the essence and it's fair to say I was pretty desperate! I checked out of my temporary flat on the 21st of September and made my way towards Waterview, determined to leave with a new set of keys in my hand. As the residence is almost brand new, there were still plenty of rooms available and I was successful! I was asked to put down a deposit and come back later while the manager prepared my contract. broke down as soon as I left - I didn't realise how stressed I had been the week before! Of course, they were happy tears as I'd managed to secure myself a perfect room with an en-suite looking out onto the residence gardens. It was the law faculty welcome ceremony in the afternoon, where we all gathered for tea/coffee and cake afterwards. It was then time for me to head back up to Waterview to collect my keys. I was thrilled. With the keys in my hand, I met a friend who had kindly let me store my luggage in his room that day and I moved into Waterview! I had planned to clean the room before moving my luggage in, but of course things never go to plan. My room had no electricity, no bathroom door and the heating wasn't working. Just my luck. Armed with blankets and a mattress protector my Mum sneakily packed into my case after my moaning of not needing bed sheets (I was wrong, of course), I battled through the night duvet-less and without electricity. Thankfully, a new friend on my corridor let me use his Wi-Fi log-in so I could update my family back home. First thing on Tuesday morning, I went to the residence manager to ask for a room change as I had concluded my room was the only one without electricity/heating out of the few other residents I had spoken to that morning. I was given another set of keys and then bumped into an electrician who had informed me my previous room had a leak in the ceiling which would have taken up to a month to fix - I'm glad I had the balls to complain, otherwise I would've politely stayed put, I was incredibly thankful to have a roof over my head nonetheless! With an almost perfect room (my bathroom sink is leaking! ), I was ready to focus on University and started going to classes on Wednesday. I don't have to confirm my finalised course choices until the 7th of October so my timetable has been pretty hectic this week as I'm trialling all the courses I'm interested in to see if I want to continue them on for the rest of the semester. I have met a couple of law students in lectures. One of which I knew previously through Facebook and another in a Terrorism and Corporate Crime lecture who also happened to live at Waterview too. He kindly cooked my dinner after the lecture as I was cooking utensil and food-less and we've also met up during the weekend to take photos on the roof of our residence (where the three photos above were taken from). In amongst going to classes/socialising, I have been buying bits and pieces for my new room. My bank account has definitely been hit hard this week - I've found myself buying bits and bots I didn't think twice about having to buy - including a wireless router and coat hangers! I've found the shop HEMA an absolute god send during my moving in period, I've bought everything there from bed sheets to kitchen utensils and cleaning products. Apparently, there is an IKEA in between Brussels and Leuven, but it's not so convenient for me as I'm purchasing everything on my own and solely by foot. I even made four trips to HEMA in ONE DAY. I really think the staff thought I was going slightly loopy. I love the area around my residence. 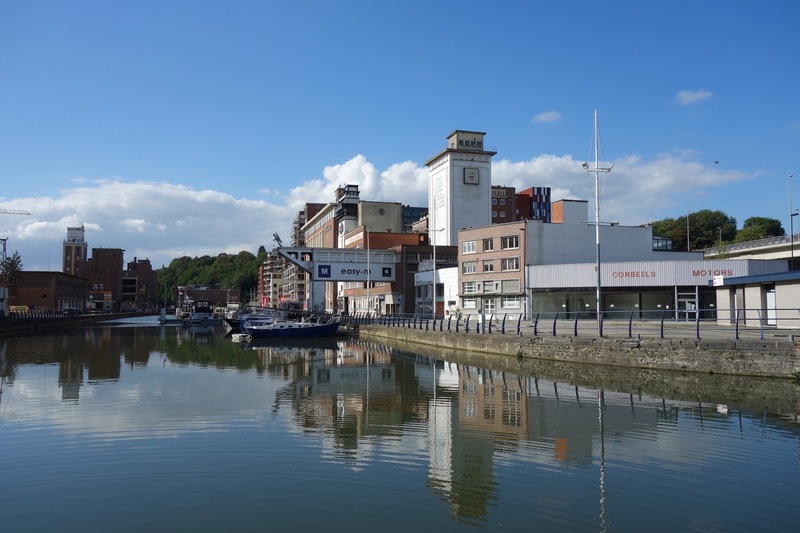 It's situated at the very north of Leuven and is a good 15 minute walk to University, but because I'm used to living slightly out of all the hustle and bustle of the city center back home in Edinburgh, I actually prefer it out here. From walking around the center of Leuven to walking around Vaartkom in the north feels like a completely different city. 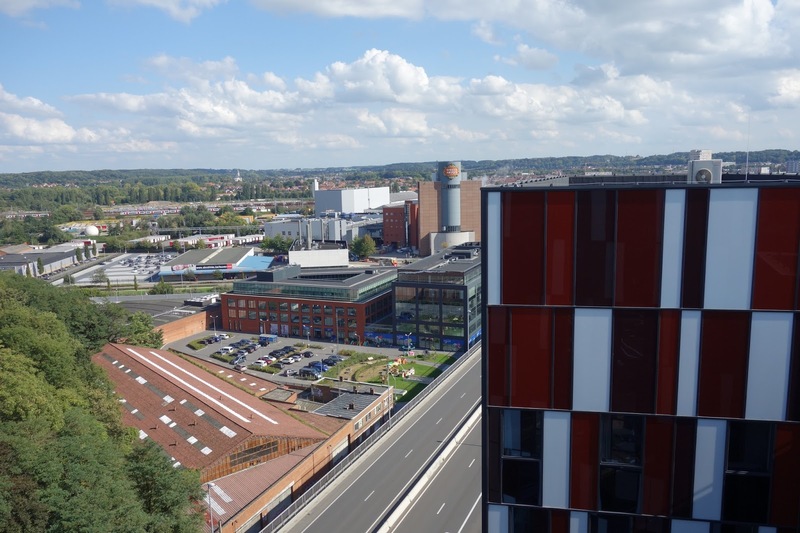 I'd say this part of Leuven is more industrial - the old Stella brewery is currently in the process of being demolished and the new one is a 5 minute walk away. 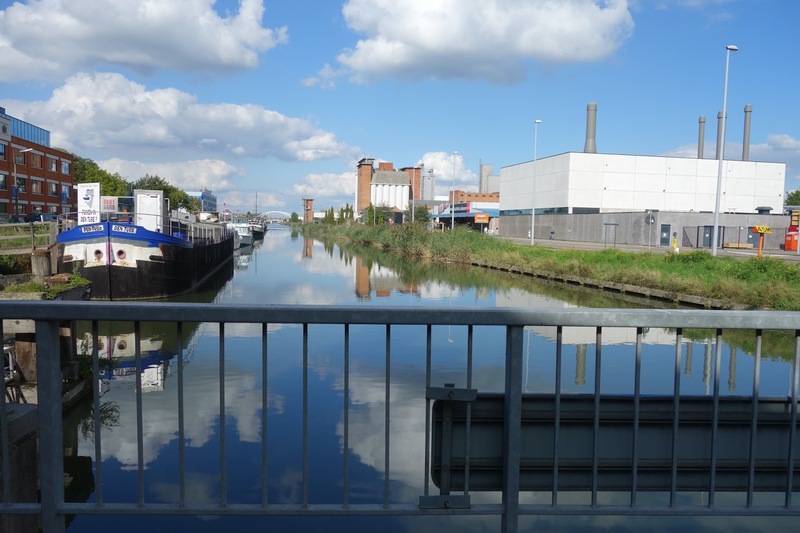 The stretch of water on the Vaartkom is beautiful and peaceful and I'm really looking forward to sitting out on one of the nearby benches on a nice day to read my book for a couple of hours and watch the boats go by. I really love it here! I finally managed to register at the Town Hall. As I didn't have a permanent address until Monday, it was almost impossible for me to register here, but thankfully that's now out of the way. 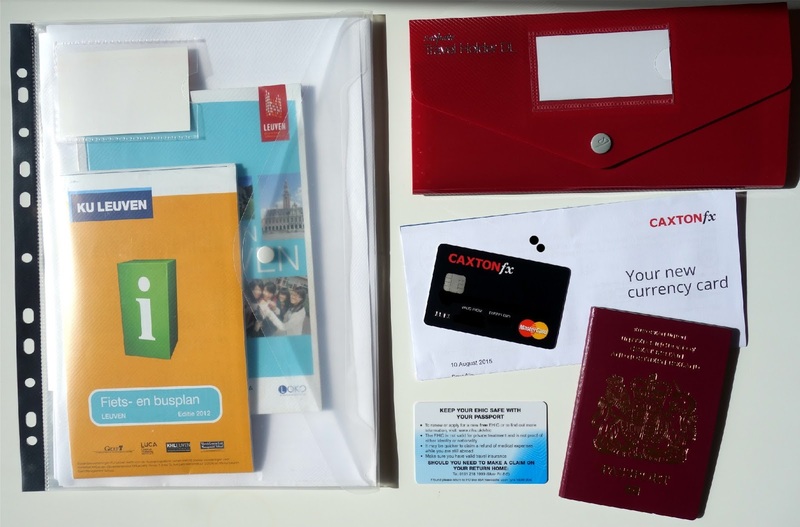 I was given a reference number (which allows me to open a bank account) and an 'Annex 8', which I'm supposed to carry around with me 24/7 in case I happen to be stopped by the police and asked for proof of residence in Belgium. I've also been told to expect a visit from the police within the next few months to check my address is correct. Of course, I'm having to do all the chores/errands expected of me when I chose to move out. I'm not terribly experienced when it comes to cooking in the kitchen, but I've thoroughly enjoyed shopping for my own food and cooking/preparing my own meals during the day. There is a LIDL and ALDI within walking distance of my residence and we also have an Albert Heijn store on the ground floor (more expensive, but great for the odd necessity). The only element I'm finding slightly challenging is doing my washing. The nearest laundrette is a 15 minute walk from my residence and the machine instructions are all in Dutch. I would say I'm somewhat capable of doing my washing but today's episode of putting coloured detergent in with my white wash and setting my coloured wash to 60 degrees says it all... It's all part of a learning process, I guess. I've attended a few interesting lectures this week including 'Terrorism and Corporate Crime', 'International and European Human Rights Law' and 'Psychology and Law'. I'm enjoying them all so far, which is slightly concerning as I can only choose 5 courses this semester and I have 5/6 lectures on other courses I'd quite like to attend. I turn 20 on the 30th of this month, so I'm hoping to take a few days off towards the end of next week to celebrate and explore more of Leuven and Belgium. Next week's post will be a good one, I promise! 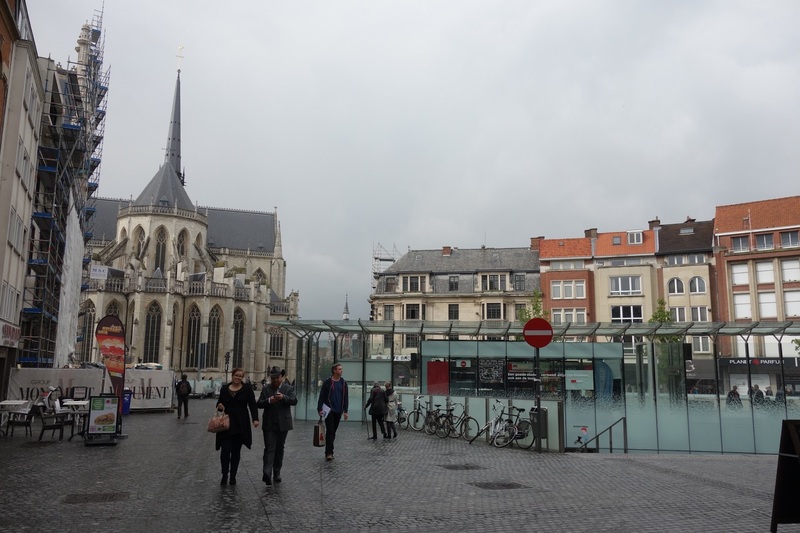 I left miserable Edinburgh for an equally miserable Leuven on Monday the 14th of September. The excitement and nerves finally hit me the night before and I barely slept a wink. A minor palava with my carry on suitcase (damn you Ryanair regulations! ), a group of men arguing behind me on the flight about a change of seating arrangements AND my airport taxi failing to pick me up at the other end didn't exactly help with the nerves. I called another taxi and waited around for 90 minutes on my own in the middle of Brussels Charleroi airport and finally made my way to my temporary accommodation in Leuven. I rented a BE Housing business flat on Bierbeekstraat for 7 nights in order for me to begin room hunting and enjoy some of what the orientation days had to offer. My temporary flat was HUGE. Because of this, I had a very restless first night's sleep. Having so much room to myself without having anyone to share it with (plus a few creepy crawlies lurking in the corners) really daunted me and I woke up on Tuesday morning feeling physically sick. Nerves were primarily to blame. I then realised I was in a foreign country on my own with a million errands to complete in only seven days. 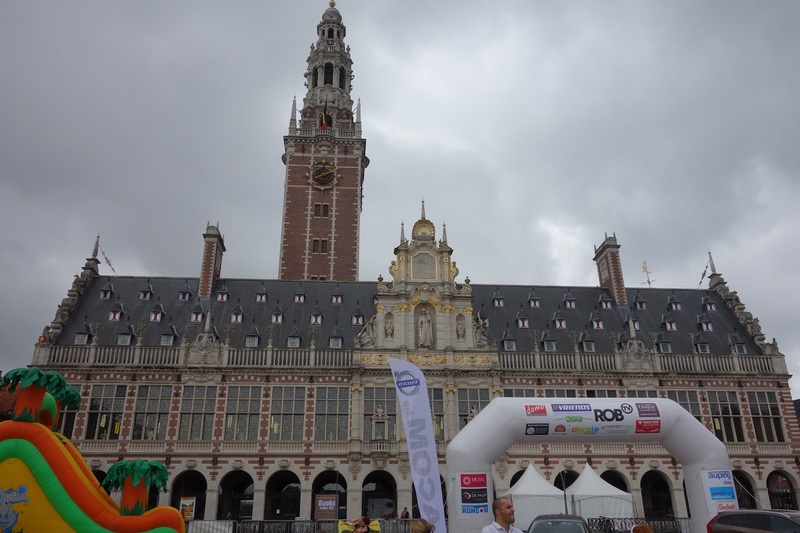 Having never moved out of my family home before, I knew moving to Leuven would take a lot of courage and the whole ordeal was, and still is, a huge deal for me and I don't think I quite realised what I was getting myself into until that morning. To ease with the stress of moving away, I already knew two students from Edinburgh University who had arrived before me, so I was incredibly grateful to have them there to guide me around the essential University buildings where I would register and find accommodation. 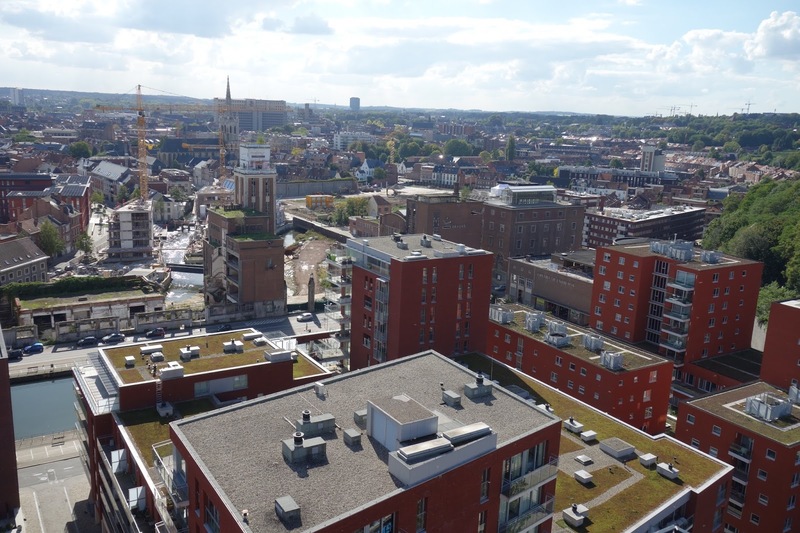 In Leuven, they call rooms to rent 'kots', so before I arrived, I joined the 'Te Huur: Kot In Leuven' Facebook page where private landlords or students post their rooms available to rent for the semester or the academic year. I had been in contact with one of the landlords in the Facebook group, so on Tuesday I went to visit the room on Parkstraat. The kitchen was very dark and cluttered and the stairs up to the rooms were very narrow and steep - a bit like Anne Frank's house! The room itself was very nice, but as it was my first viewing I said I would get back in touch at a later date. I've also noticed a lot of rooms to rent in Leuven don't come with a mattress. 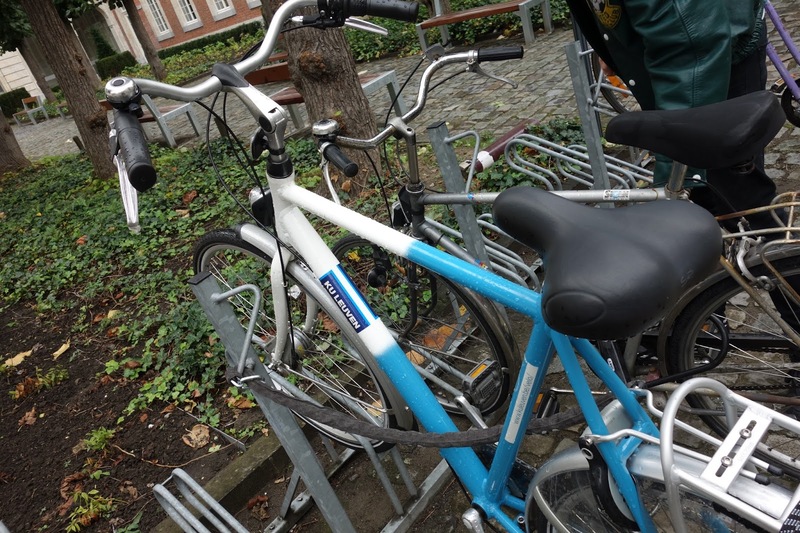 Apparently, this is because students in Belgium take their mattresses with them when they leave their accommodation at the end of the year - truly bizarre for any British students. After a satisfactory first kot viewing, I visited the housing office for guidance on where to look next. 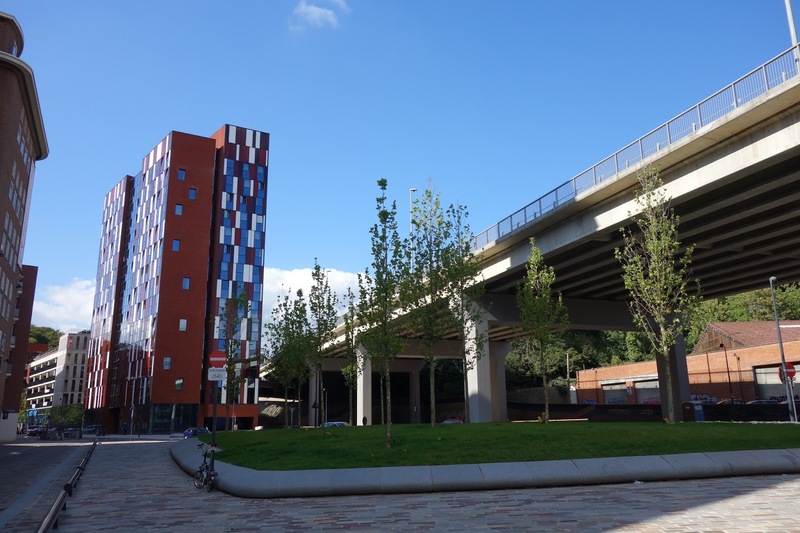 An adviser directed me to the KU Leuven accommodation page (Kotwijs), where a list of rooms from a private landlord, KU Leuven residence rooms and private residence rooms can be found. There is a room full of computers and telephones next door to the housing office and this is where I found myself for hours on end every weekday booking subsequent kot viewings. 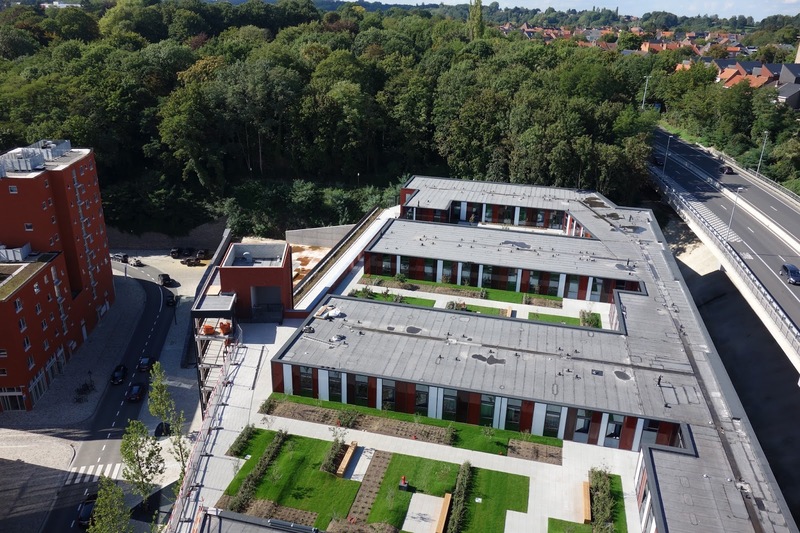 Throughout the week I visited five rooms - two of which were owned by private landlords, two KU Leuven residences and one private residence - each having their own pros and cons. Ideally, I was looking for a KU Leuven residence, which has obvious advantages over contracting with a private landlord. I also wanted a room in a corridor amongst other international students. Here in Belgium, a lot of Belgian students go home at the weekend, which I've discovered by watching hundreds roll their suitcases through the cobbled streets of Grote Markt and Oude Markt on Friday afternoons. So, of course, I desired for a residence which would have other students present over the weekend. I also think living with international students would be beneficial if I ever suffered from homesickness. Looking for accommodation all depends on the individual, some people wish to totally submerge into the Belgian culture and live with Belgian students - each to their own! In amongst kot viewing appointments and visits to the housing office, I attended a few orientation events. 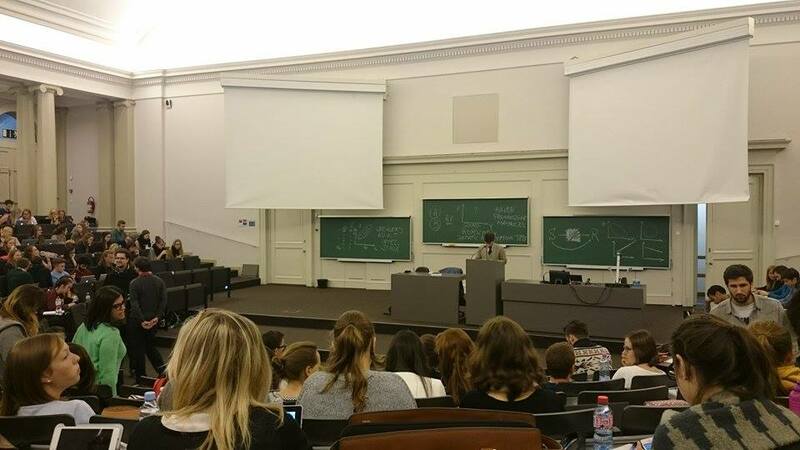 On Thursday, the University hosted information sessions on 'Living in Leuven' and 'Studying in Leuven'. I found the presentations really helpful and the speaker addressed matters from simply crossing the road in Belgium to the right to waive paying city tax if you reside in Belgium for more than 90 days. I'm looking forward to starting University again as I'm currently lacking a routine in my life. After going to the 'Studying in Leuven' information session, I'm getting the impression that Belgian students devote a larger amount of time studying at home compared to the average back in Edinburgh. I've noticed the exam format is slightly different here. In Edinburgh, 90% of my exams are written and last 2+ hours, with the exception of the odd take-home exam. 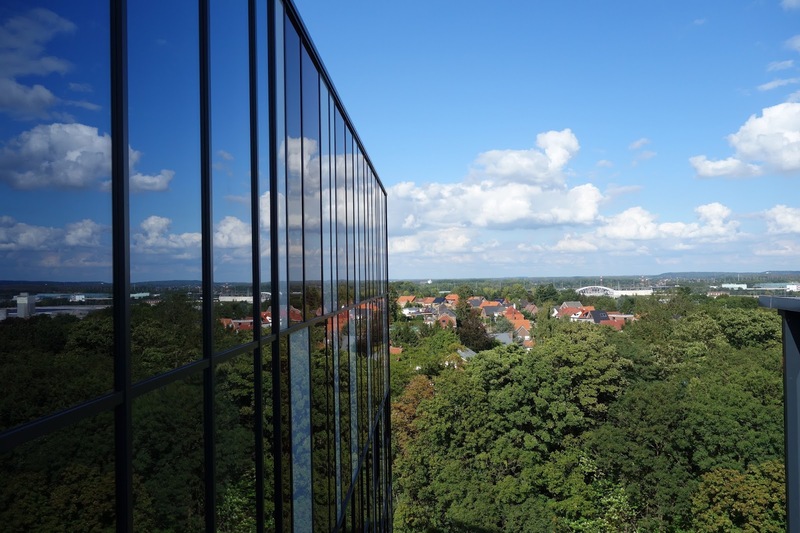 In Leuven, the exam format varies between oral exams to a three hour multiple choice exam! It'll definitely be interesting to see how the workload here in Leuven compares to Edinburgh. On Saturday evening, my friend from Edinburgh University and I went to see the OH Leuven football team play against Zulte Waregem. Overall, I thoroughly enjoyed the game. I've only been to 2/3 football games in my life, all of which included Scottish football fans shouting and swearing at each other, so it was good to sit and enjoy a peaceful Belgian football game. Leuven lost 3-2, but it was definitely an incredible atmosphere and I would love to see them play again. 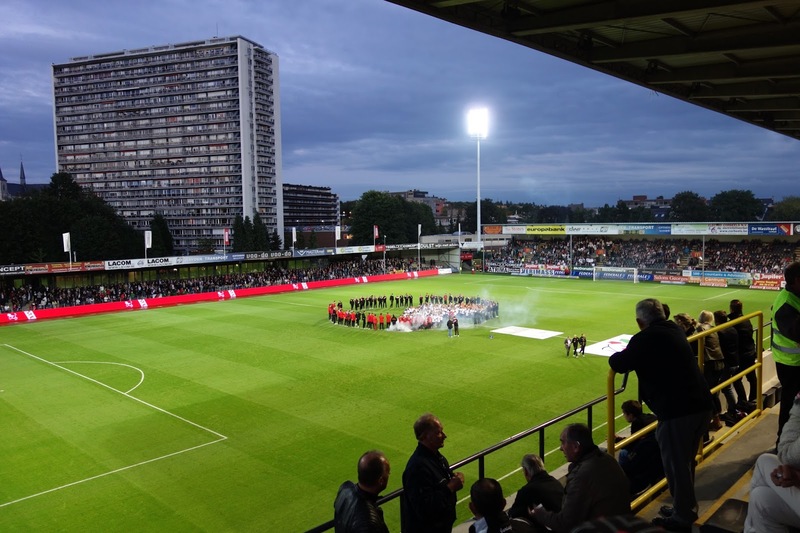 The Belgian national U21 team also play here for only 5 Euros per match - definitely something to put on my wish list for the future. Afterwards, we joined other international students for the Erasmus after party in Oude Markt. I don't drink alcohol, but I've noticed beer is VERY cheap here. In some places, it is even cheaper than still water! We visited two bars on Oude Markt - one of which sold half pints of beer for the same price as a full pint - bizarre! It was also quite strange watching hundreds of students opt for a pint rather than quickly throwing vodka shots down their throats, something which is (unfortunately) very common in Scotland! 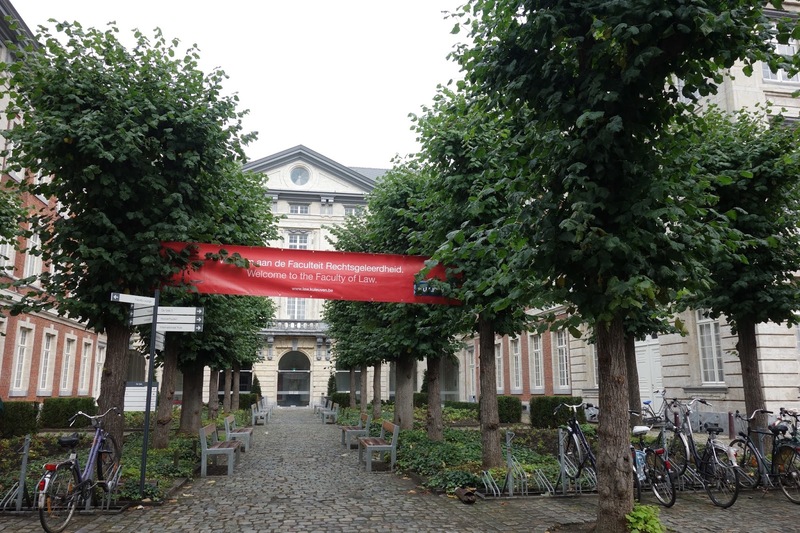 My first week in Leuven has been enjoyable! Regrettably, because of my housing situation, I haven't attended a lot of freshers events. As this is my third year of freshers, I'm honestly not overly fussed because I've experienced it all back home and my priority has been looking for somewhere to stay for the next ten months. The University and student associations are constantly arranging Erasmus events throughout the year, so there's plenty of opportunities to meet other international students in the future. I still haven't found a room yet and my check out date for this temporary flat is tomorrow - next time you hear from me I should hopefully have a room or will be living in a hostel for a few nights! I can't believe I'm leaving the UK on Monday to start my year abroad in Leuven. It's crazy thinking I had my last lecture at Edinburgh Uni back in May - this summer has flown by! I'm relieved the academic year is starting again though, because of my resit exams it has been almost impossible to plan anything over August/September and I'm craving some routine in my life again. 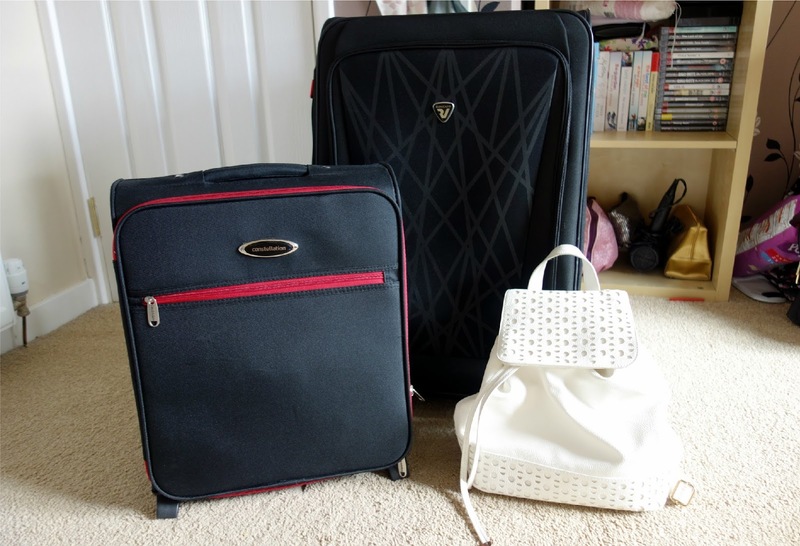 I (think) I have everything organised and ready to go, so I thought I'd share some of my packing tips and ways to prepare for a year abroad. I'm really lucky to have friends all over the world currently on their year abroad, so I'm thankful to have received some of their advice as I'm one of the last in my year to leave. Check what the baggage allowance is before you fly. Thankfully Ryanair allow for one cabin bag as well as a small handbag/rucksack to take on the flight, so I only have to check in my large suitcase. In the unlikely event of my case getting lost, I've packed all my essentials and fragile items in my cabin bag. If you know of how many cases you'll be checking in, pay for them as you book your flight and not afterwards. Airlines normally offer a hold baggage discount if you pay for your bags alongside your ticket. Consider leaving some clothes until a later date. This applies if you have family visiting or are heading home for Christmas. If you're visiting home before winter begins, don't bother taking your winter jacket abroad until you head back. Also, if you have family/friends visiting you in the first couple of months, ask them to leave some room in their case to bring over things you didn't have enough room for initially. Inform the bank and your mobile operator that you're going abroad. I can't think of anything worse than being abroad and having my home bank account blocked because of an increase of international transactions. Let your bank know of the duration you'll be overseas for and they'll put a travel flag on your account to prevent your account being blocked. I have a 30 day rolling contract on my phone, which I've been advised to switch to pay-as-you-go for my time abroad. This means I can enter into another contract in Belgium and be able to return to my UK number after my time abroad. If you have a 12/24 month contract, this may be more difficult to get out of. Consider a currency card. Some countries allow for a bank account to be opened before you arrive, but it's not all that easy elsewhere. Most banks will ask for you to have a permanent address in the country before a bank account can be opened. If you're like me and are staying in a hotel when you first arrive in your host country, consider using a currency card until you find accommodation. Caxton Fx offer free ATM withdrawals in Europe and it's super easy to load the card/monitor finances through the mobile app. Print photocopies of important documents. This is crucial in the (unlikely) event your passport/ID is stolen on your trip. Keep your passport and boarding card handy. I purchased a travel document holder from Ryman stationary. It has separate compartments for a passport, ticket and any insurance documents so everything is easy to find on the day of travelling. Don't forget to order an EHIC card. This is your proof of medical insurance and entitles you to free or reduced health care in the EU. Make Lists. 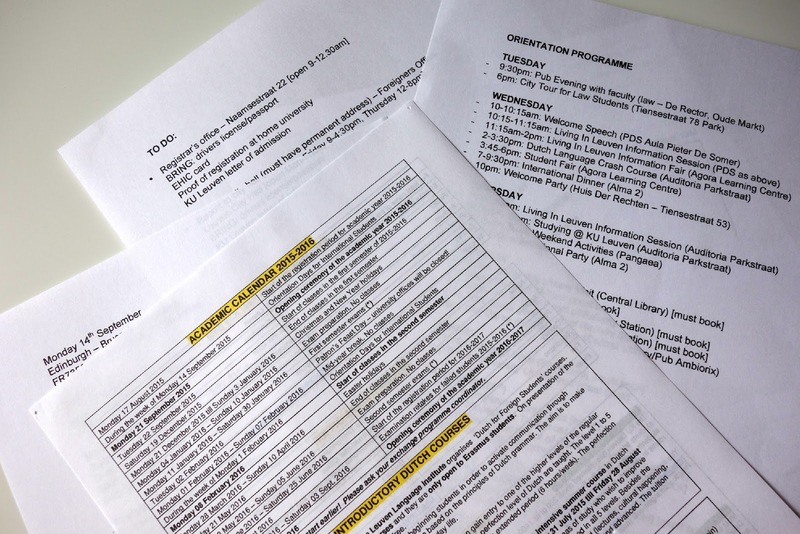 I have a whole bunch of lists in a document folder - from the orientation week timetable to a list of things I need to do once I arrive in Leuven. It's also important to write down important contact details including the name and address of your exchange coordinator, the address of the nearest embassy and even the emergency service number (you'd be surprised at how many people don't know the emergency number for their host country). Take relevant University materials from home. I will be studying both EU and Belgian law in Leuven, so I'm taking my EU statutes from an EU law course I studied in Scotland. 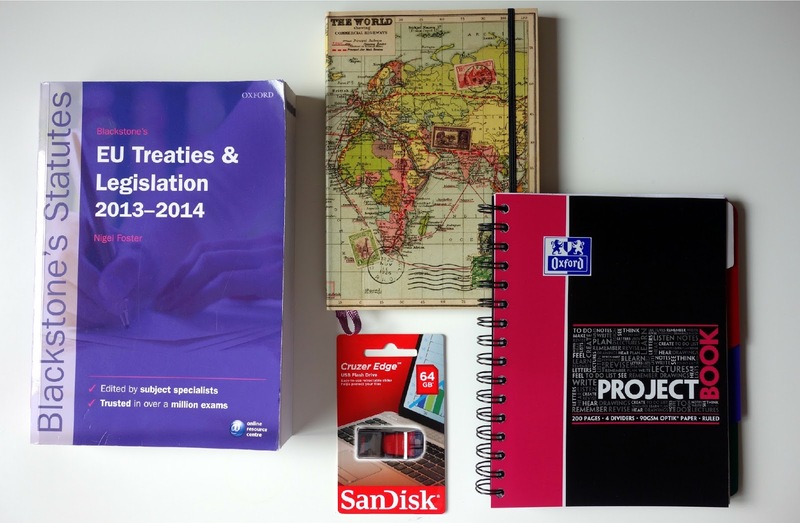 If it has some relevance to a course you'll be taking abroad, take it with you! This also applies to any notebooks you're used to using in the UK as particular notebooks may be difficult to find in a place you're not familiar with and it may actually save you money buying them beforehand. I love Oxford notepads and picked up a Project Book to start off with in Leuven. Document your year abroad. Starting a travel blog is a great way of updating your friends and family. If you're not a blogger or up for sharing your year abroad online, consider buying a notebook/diary to jot down any thoughts you have on your travels. I treated myself to a beautiful world journal I recently found in John Lewis. Writing a diary/blog may seem like a chore at first, but in years to come you'll have it there to reminisce on all your memories! Consider buying a USB stick. If you're used to wireless printers in the UK, it may be worth investing in a USB stick to take abroad. Unless you purchase a printer abroad, you'll be relying on the University library printers, which may not be what you're used to using at home. To save the stress of working out how to print off an essay before a deadline, upload it onto a USB stick and plug it into one of the computers there, it'll save a whole lot of kerfuffle. Print out photos before you leave. I have a few photo frames at home full of collages of my friends and family, so taking some photos away with me was a no brainer. 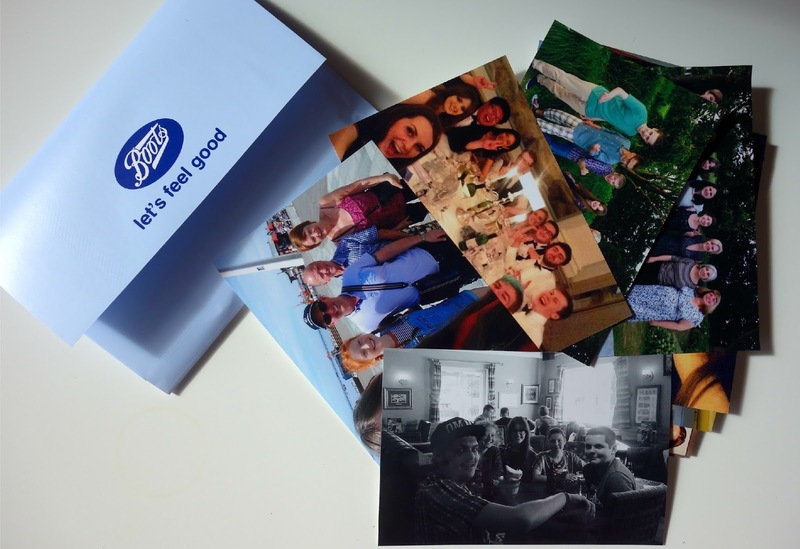 I'm hoping to stick photos on my wall (if my landlord allows it) to make my room abroad feel more homely. If you can buy it there, don't bother packing it. Clearly I'm using this phrase very lightly. I can't really bear to live somewhere for 10 months without a can of Batiste, a tube of Nivea cream and all my favourite British beauty products. 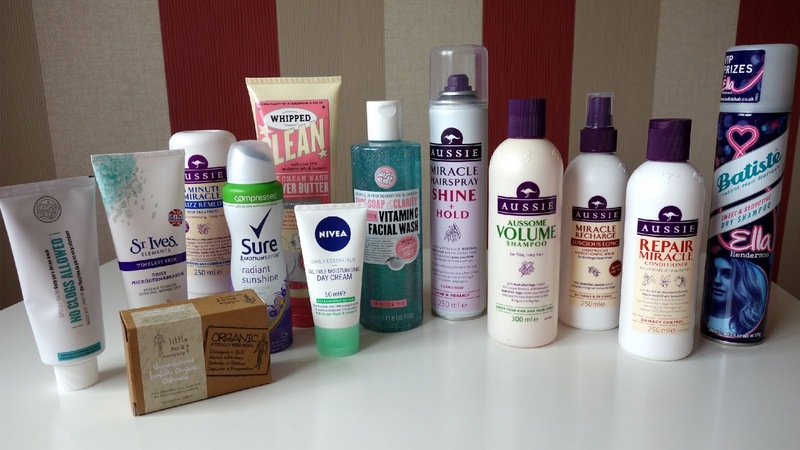 Thankfully, I have enough room in my suitcase to pack non-essential beauty products, but if I was tight for space I would probably sacrifice my Aussie hair care range for shampoos and conditioners that can be picked up easily abroad. Instead of packing large shower gels, it's worth buying a bar of soap instead - it's a lot more compact and I've actually come to prefer a traditional bar of soap! Don't forget travel adapters. 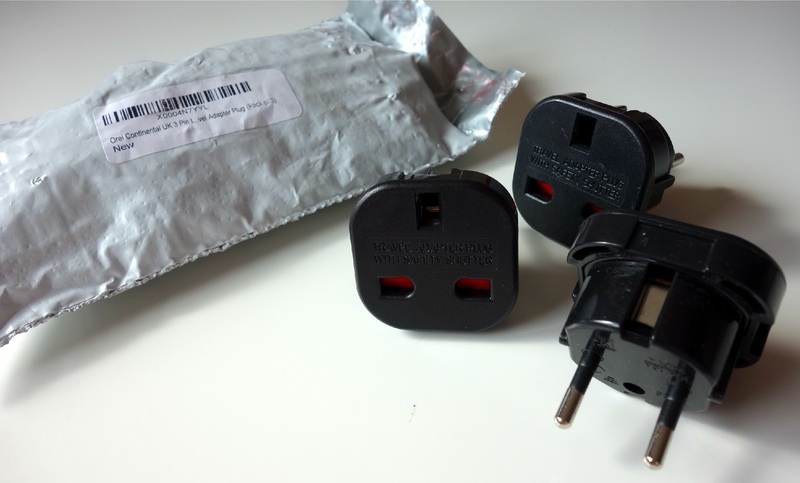 It's an easy mistake to make and we've all gone abroad without thinking twice about packing adapters. I purchased a pack of three European adapters from Amazon. Set up a means of contacting home. Creating a skype account for your parents is the best way for them to contact you whilst abroad. If your family/friends can't video chat, make a group chat on Whatsapp/Facebook messenger to update them on your travels. Join the Facebook group for your course abroad. There is no comparison to meeting your classmates physically when you get there, but it can be helpful to speak to students on Facebook before you go. If a Facebook group for your host University doesn't exist, email your home University asking for contact details of other students that will be joining you abroad. I have a few contacts both abroad and from home that will be joining me in Leuven and it's refreshing chatting to them about any worries/thoughts I'm having about settling in abroad. Request a buddy. Some Universities offer a buddying system where they team you up with a current/previous student who will offer you some guidance and answer any questions you may have when you arrive. They can assist you with any academic queries about your course or even advise on the best place to buy your groceries and do your washing! If you have been on a year abroad - please let me know of your experiences and any tips you have in the comments! 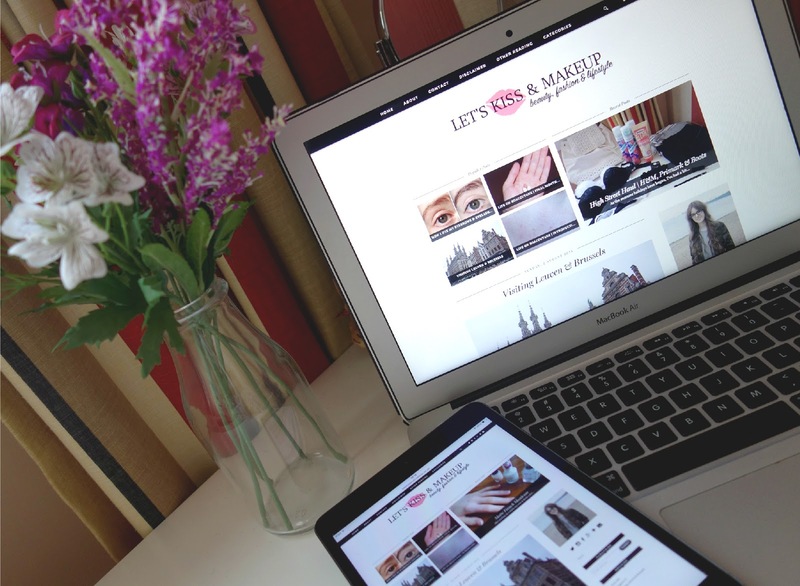 Let's Kiss and Makeup has had a makeover! After years of battling with HTML coding by myself, I finally threw in the towel and decided to invest in some professional assistance. I purchased the Venture template on the pipdig website. I'm really happy with how the template looks on my blog, but I'm still in the process of tweaking certain elements and re-designing my blog banner. In a few months time, hopefully my blog should be exactly how I want it. The process of purchasing a pipdig template was really straight forward and they send out an installation guide along with the template. Normally a blog re-vamp really stresses me out, but with pipdig being easily accessible by email and twitter, the process was a walk in the park. My blog is now mobile friendly and personally I think the whole layout is a lot more user friendly and I'm extremely pleased with how it's turned out so far - thanks pipdig! In other news, I passed my August resit exams and I'm all set to head off on my year abroad in Leuven! As my year abroad status has not been 100% approved until recently, I haven't found permanent accommodation in Leuven yet. I leave Edinburgh on Monday the 14th of September and will stay in a temporary flat in Leuven for the duration of the international students' orientation week. Overall, I'm feeling really excited about moving away. It'll definitely be a shock to the system from living with my parents (having meals/washing/cleaning done for me) to living on my own in a foreign country, but if this doesn't teach me how to properly act as an adult, I'm not sure what will! I'm only slightly nervous about my first week in Leuven where I have to find a permanent flat for the year, complete lots of boring paperwork and attempt to find some friends but I'm sure things will be alright once I'm out there. 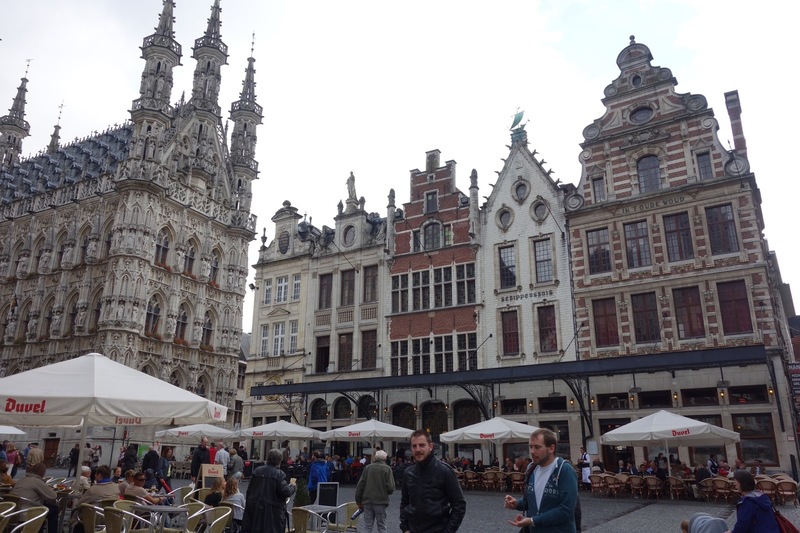 Whilst I am studying in Leuven, there will be a few changes made to my blogging schedule. It's difficult to announce a definitive plan at the moment because I'm not sure how busy my timetable will be at University, but I'm planning on keeping a daily diary of what I get up to then sharing this with you on a weekly basis - kind of like daily blogging but in an end of week blog post! There is now a 'year abroad' category added to my menu bar so all of my travel posts will be easily accessible there. I don't have a beauty/fashion post schedule as of yet, but I'm hoping to write a few of those monthly. In the meantime, expect a weekly year abroad post and some beauty, fashion and lifestyle posts in between! I'm currently packing and preparing a pre-departure blog post - so keep your eyes peeled for that and I'll be back soon!